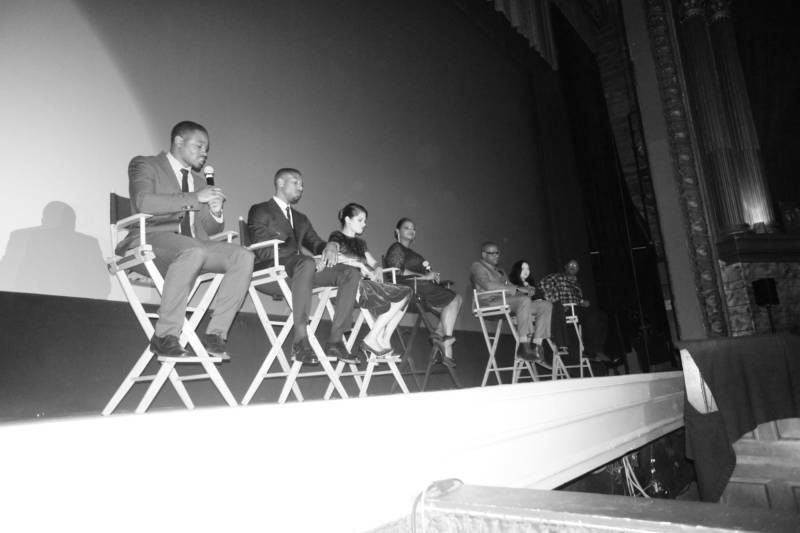 When is a Movie Theater More Than Just a Movie Theater? On Oct. 15, 2008, as voters across the country tuned in to the third and final presidential debate between then-senators Barack Obama and John McCain, I was wedged precariously into the backseat of a coworker’s car with three other people as the driver careened around the block near the Parkway Speakeasy Theater in Oakland, looking for a parking spot. We’d left early that day from the tiny Berkeley publishing house where we all worked in order to get seats at the Parkway, which was screening the debate. Our driver eventually dropped us off to snag a good couch while she parked; by the time she plopped down next to us, it's likely we’d collectively downed at least one pitcher of beer. I don’t recall leaving that evening. But I do remember looking around during the debate and thinking, Man, I love this place. Six months later, the Parkway closed for good. 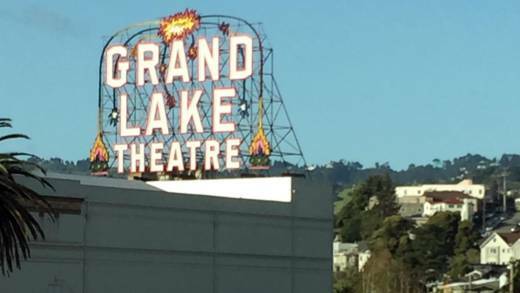 This question was on my mind this week, with the welcome news that Oakland’s Grand Lake Theatre, the 1926 movie house near Lake Merritt, has been sold outright to its longtime leaseholder, Allen Michaan. The new owner, who purchased the building for $3.75 million, has plans to seek landmark status for the theater in the National Register of Historic Places, further protecting it from the rapid development that’s swept much of Oakland over the past decade. On top of its architecture and spectacular, ornate interiors, the Grand Lake has always played a special role in Oakland. For one, its marquee could be counted on for candid messages of political protest well before our current president was elected. When I lived nearby, it always made me proud to see what particular anti-war or anti-imperialist message it might bear on a given day. In recent years, as so many businesses and brands struggle to strike a tone that conveys dissent without alienating conservatives, such frankness has felt not just refreshing, but vital. And then there's the cyclical role the theater has played in filmmaking itself. 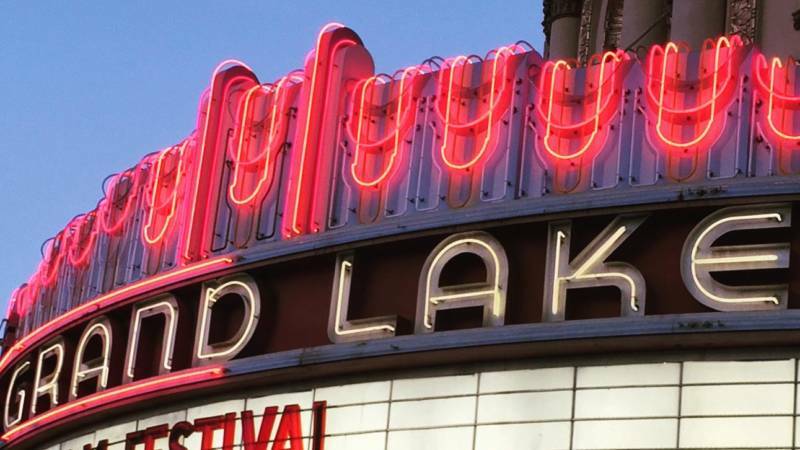 In the past year, a trio of Oakland-based and/or Oakland-made films has meant huge box office numbers for the Grand Lake. Chronologically by release, that’d be Black Panther, Sorry To Bother You, and Blindspotting; Michaan told reporters the sale was possible in part because of that windfall. That’s sweet and satisfying, but it’s also not serendipitous: those films meant good business for the Grand Lake in large part because their filmmakers specifically chose to drive business to the theater—because of its importance in the community—by holding blowout premieres there aimed at locals. 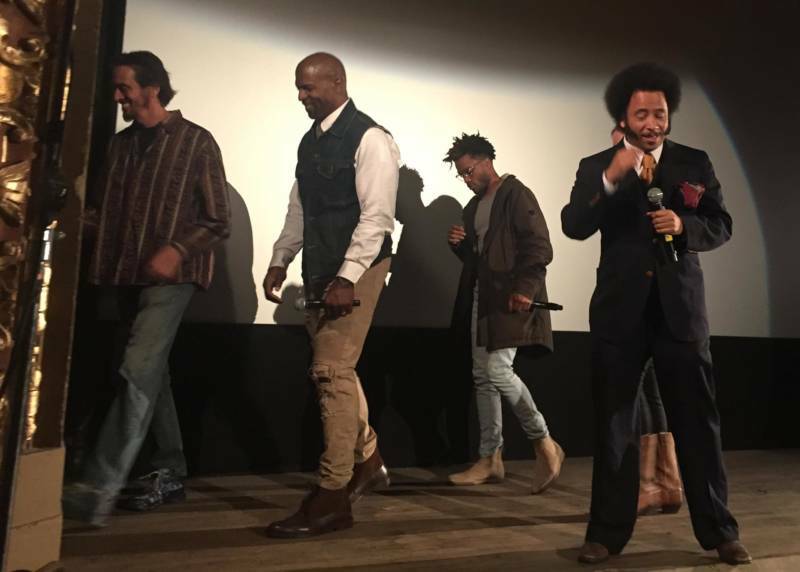 Black Panther director Ryan Coogler surprised one audience with a pre-film talk, mentioning how he saw Boyz n the Hood at the Grand Lake as a kid, while Boots Riley mentioned at his premiere screening of Sorry to Bother You how, as a young teenager, he'd rushed to the Grand Lake to watch Krush Groove. Film begetting filmmakers. Community begetting community. It’s an event, in other words. Online streaming services are convenient, yes. But the experience of sitting in a darkened room with other human beings, most of them strangers, all in a place of deep vulnerability together, all suspending disbelief together, all taking a trip together with one piece of art on one big screen? Forget convenience. That's sacred. Do you remember the first movie you ever saw in the theater? I don’t. I’m told it was Willow, and I fell asleep. To be sure, we've all had plenty of forgettable movie-going experiences. You know the ones: times when you feel part of a cattle call, there in line to spend $25 on fake butter and soda, all too aware of the multiplex not as a physical space but a concept—the undignified end of a corporate conveyor belt that needs you, the consumer, to not think too hard about what came before, or who's profiting afterward. But then there are the other times: times you experience cinematic magic, at a theater you will love from that point on—because the space became personal, served as the setting for a feeling that can’t be duplicated. The Castro Theatre, with its organist, screening Vertigo annually, then turning around and hosting hundreds of adults in taffeta for a The Little Mermaid sing-alongs. The Roxie Theatre, with its old-school projectionists, deciding, sure, let’s have people bring their dogs to Isle of Dogs. I think a lot about the Oaks Theatre, at the top of Solano Ave. in Berkeley, a historic space that at one point employed a half-dozen of my high school friends. I think about a photo of a couple of them grinning, standing in front of the marquee, where a manager had spelled out their names on graduation day. The fact that the Oaks closed in 2010—last I checked, its space is slated to become a climbing gym—is far from an anomaly. It’s hardly news that the movie theater business has struggled to keep up since the advent of on-demand streaming, while independent movie houses, without the Star Wars and Jurassic World blockbusters to bring in the big bucks, get the shortest end of every stick. And, as a consumer, it's all too easy to understand the trend. I have Netflix, and Hulu, and my parents’ HBO Go password at the ready. But when I think on why the Grand Lake news feels so damn triumphant, I also remember being 8 years old—when, during the Solano Stroll, if you weren’t the kind of kid to be in a marching band or dance troupe that actually took part in the bright, loud parade, you were likely the kind of kid who could be found at the Oaks. There, in the dark, you could stuff yourself with candy, surrounded by other kids more entranced by a movie screen than a dunk tank, watching the classic cartoons they played all day for free, just that day, once a year. Who knows? Maybe some of them grew up to make movies too. 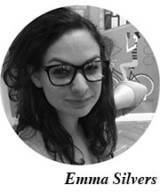 Emma Silvers is a writer living in San Francisco. Find her on Twitter here.